Traveling in the city can be a daily chore to look forward to when you get behind the wheel of the 2017 Ford Fusion near Las Cruces, NM. As a smart mid-size sedan, this city-savvy traveler is the practical companion for drivers who want to accomplish a lot during their day. Cruise in this Ford around Las Cruces and you’ll savor the comfort and convenience it offers. 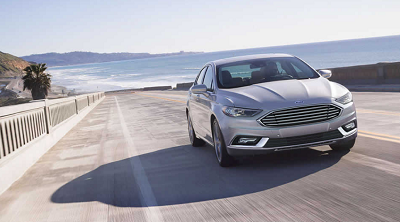 Just one glance at the 2017 Ford Fusion near Las Cruces, NM, and you will know that it’s got attitude. Get to show off brand-spanking new 19-inch alloy wheels as well as a trunk rear spoiler. This entry was posted in Business on October 13, 2016 by Domingo.